Pauli Syrjänen is the Managing Director of M&T Engineering Oy, a mining and tunneling technology company. With over 25 years of experience in the mining industry, Pauli is an expert in tunnel design, rock excavation, grouting, rock support supervision, rock mechanics and the behavior of rock mass, and geological 3-D modeling. He has also been a pioneer of mining research and development, for his work on 3-D rock mechanical modeling and simulation, using state-of-the-art statistical tools. After earning his Master of Science in Mining Engineering and Engineering Geology from Helsinki University of Technology in 1991, Paul became a Project Manager for the university. 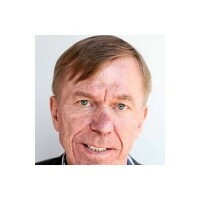 He went on to serve in managerial positions for Gridpont Finland Oy, WSP Finland Ltd, Posiva Oy, ELY Management Oy, and SITO-rakennuttaminen Oy. Paul is a member of the Swedish Mining Engineers Association. Passionate about his profession, Paul credits the vast windows of opportunity that have opened to him over the years to hard work and dedication. He lives in Helsinki, Finland, where he is multilingual in Swedish, English, and German. In his spare time, Paul enjoys reading a good book or sailing.